I hope everyone had a wonderful Memorial Day weekend with friends and family. Also, I’d like to say thank you to all of those who gave their lives serving our country, as well as those of you who have served or are serving in the military now. Your sacrifices are greatly appreciated. Today, we will take a step back and get a big-picture view of the Greater Tampa housing market — which includes all the communities listed below. As you see below, Total Sold Dollar Volume, Closed Sales, Median Sold Price, Average Sold Price and Average Price per Sq Foot rose compared to April 2017 (YoY). Median Days on the Market and Average Days on the Market both fell 8.7% and 11.3 % respectively. On a month-to-month (MoM) basis (or March 2018 compared to Apri 2018), most statistics declined, except for Median Sold Price (up 1.1%) and Average Price Per Square Foot (up 1.5%). The Number of Active Listings also declined 4.0% from March a year ago, as 5,635 homes were listed for sale, but New Listings climbed 6.2% from April a year ago, as 3,223 homes came onto the market. The April 2018 Median Price gained 7.6% over April of 2017, rising to $242,000. The Average Price per Sq Foot for Sold Homes rose 7% in April 2018 to $138/sq ft. The Median List Price also jumped 2.7% to $309,356 compared to April a year ago. The Average Price List Price per Sq Foot increased 4.4% to $165/sq ft. The supply of homes dropped 7.9% from April 2017 to 2.37 months. The Median Days on the Market, which shows how fast homes are selling dropped 8.7% to 21 days. That means half of the homes in the Greater Tampa real estate market sell in 21 days or faster. The main trend is also a simple one to understand. Prices are going higher because houses are selling faster. Supply is not keeping up with demand. This can create a challenging environment for buyers if you’re not prepared to act quickly when you find what you want. 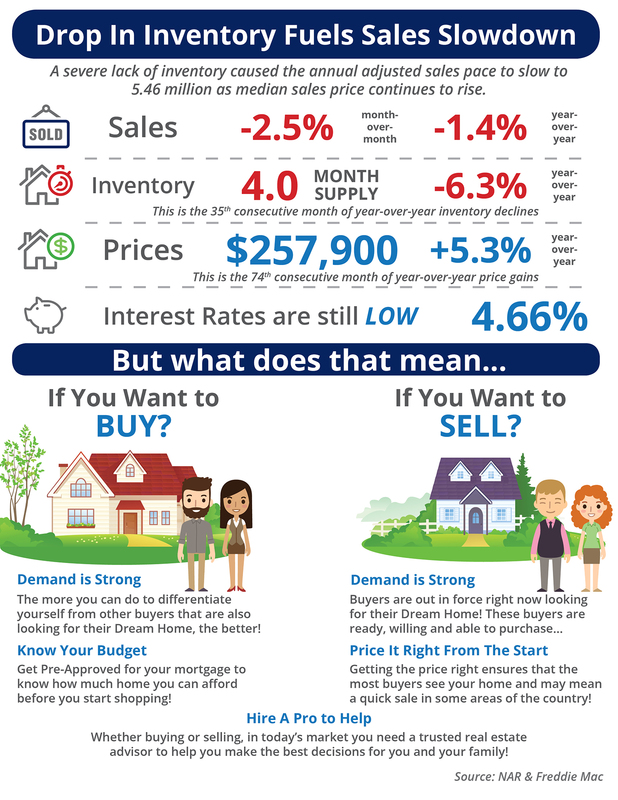 However, if you’re a seller or planning to sell soon the market is definitely in your favor. 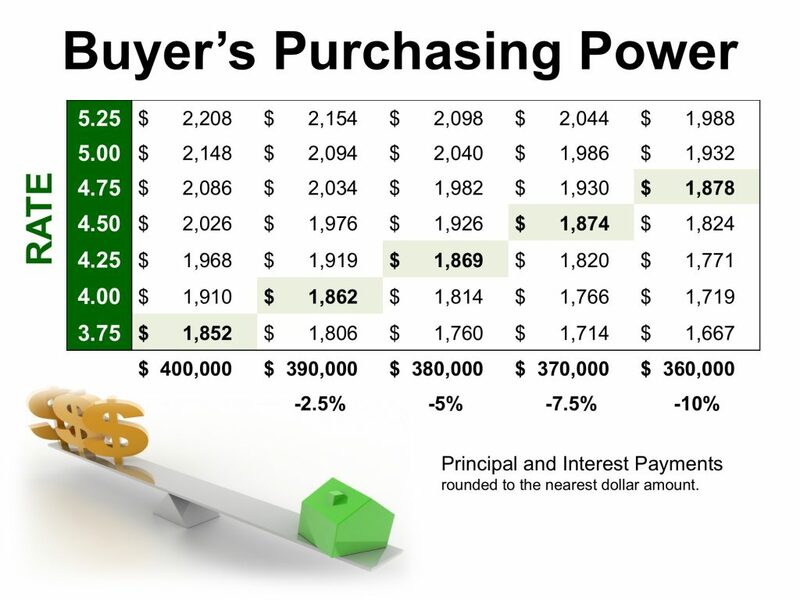 Motivated buyers want to buy now while interest rates remain relatively low. 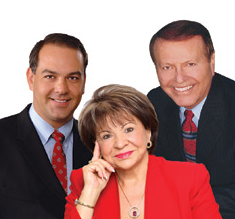 So don’t delay if you want to sell your house now is the time to do it. 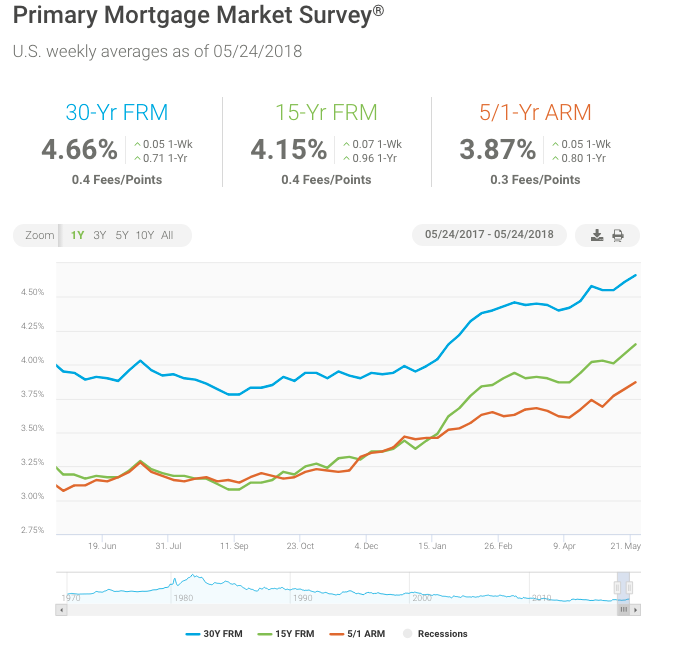 Mortgage rates moved up over the past week to 4.66 percent, their highest level since May 5, 2011 (4.71 percent).